Learn about the city's colonial heritage on your scenic drive along Ocean Drive (10-Mile Drive), affording views of historic mansions, beaches and secluded coves. This epic stretch of road is lined with jaw-dropping million-dollar mansions that were once the 19th-century houses of the New York elite, who fled the big city during the summer to Rhode Island. These mega-mansions played a role in transforming Newport’s coast from a quiet summer colony of quaint cottages to a legendary resort town brimming with opulent estates. 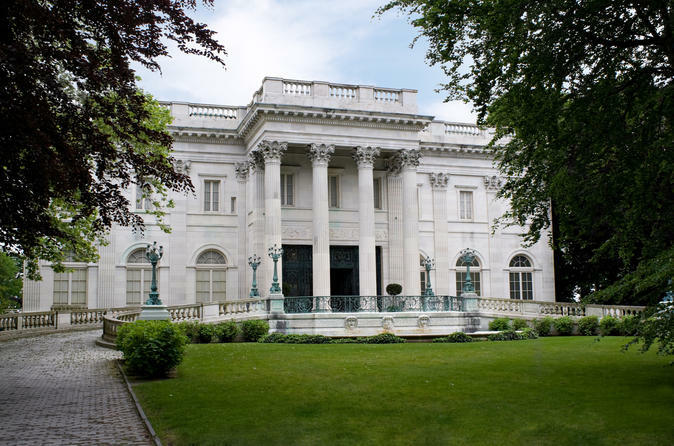 Your first stop is The Breakers, the former home of the Vanderbilt family and a US National Historic Landmark. As you'll learn on your walking tour, this is the grandest of Newport's summer 'cottages,' and was a symbol of the family's social and financial reputation at turn of the century. Next, enjoy free time to stroll along Newport's beautifully restored waterfront. Spend time shopping and dining on your own, and enjoy views of the harbor dotted with glamorous private yachts, modern racing sailboats and Newport's fishing fleet and ships from around the world. In the afternoon, you'll visit a second mansion, Marble House, another home of the Vanderbilt family and a US National Historic Landmark. Take a guided walking tour to fully appreciate the grandiose of this majestic piece of property; the interior of this Gilded Age mansion is a sight to be seen. After your tour, enjoy more views of Newport's mansions and beaches from afar on your return journey along Ocean Drive back to Boston. This tour is seasonal and only operates from June to October. Special Offer - Book by October 15 to save over 10% off our previously offered price! - Book Now!